rude | Why you drive bad?! Imagine eleventy billion cars here. The on-ramp to eastbound 15th street from Lamar Blvd in Austin is a serious fustercluck in the morning. It may not look like it in the image above, but the behavior of people in traffic is terrible! It has gotten worse in the last few months from the mass exodus of other states to Austin. Enfield/15th Street is one of the major east/west streets through downtown and most downtown workers take this route to and from work. At the top of the hill in the picture is a traffic light. 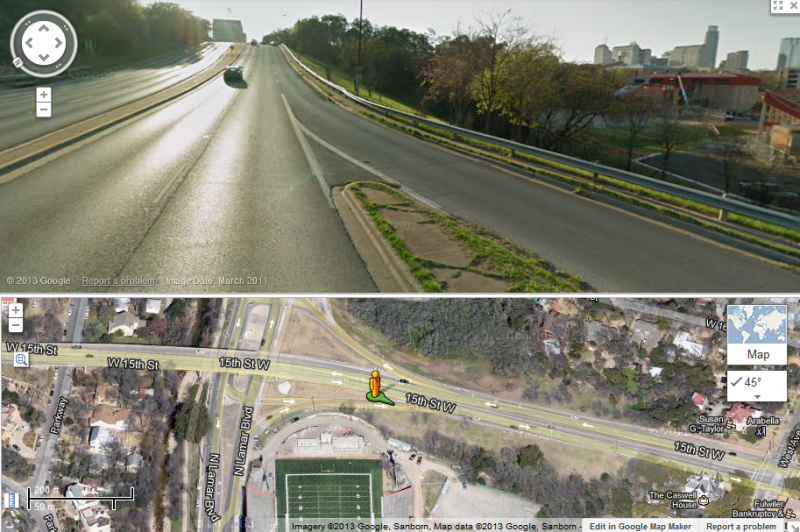 The right hand lane where the on-ramp is located become a thru lane all the way to I-35. People will routinely come to a dead stop where the on-ramp becomes a thru lane. They stop in both adjacent lanes to do a lane change. Seriously, people! It’s a ticketable offense to stop in a thru lane! This goes back to my rant about people stopping in yield lanes. Shape up and time it right. If you can’t, then don’t inconvenience everyone else by doing stupid stuff like this! Drive up the road and do a U-turn or something if you miss your chance to make a lane change to make a turn. Seriously, you have options. The other day I’m heading home from work stuck in traffic when I see a car race up the center turn lane like no one’s business. 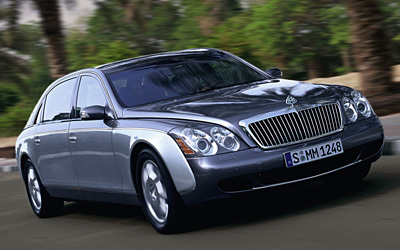 I take a closer look and this car appears to be a Maybach! This car cost half a million dollars. Half a million! I have to wonder what it’s doing up here in this neck of the woods as I would describe the area near my work as more of a NASCAR demographic than Maybach owners. Getting back to the topic, this guy was bypassing all the stopped traffic and using the center turn lane as his own travel lane. Just because you own a half million dollar car doesn’t mean the road is yours! Stay stopped in traffic like the rest of us! To be honest, he did eventually make a left (after a mile) into the U-Haul center (if you own a Maybach, WTF are you doing at U-Haul?! ).